If you were anywhere near social media this weekend, then you may have seen that songstress Ameriie celebrated the impending birth of her first child with a lavish baby shower held on the rooftop of L.A.'s Louis Vuitton store. As she awaits the arrival of what is sure to be her greatest production yet, she is still finding time to hit the studio to create music. For her latest visit to the recording booth, she adds her own touch to a remix Swae Lee's single "Guatemala." 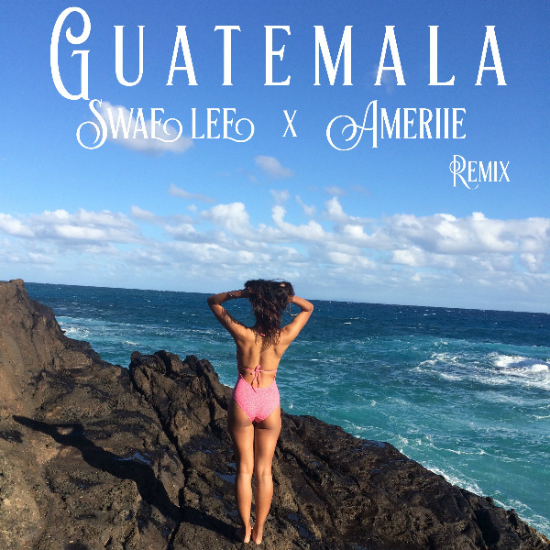 On the dancehall-influenced tune, Ameriie joins in for the bouncy jaunt where she, Lee, and his brother Slim Jxmmi sing about jetting away and forgetting all the troubles of the world. The song is perfect for the warm weather thanks to the tropical, upbeat vibe. For her part, Ameriie adds an additional layer to the song that finds the Rae Sremmurd duo trading in the party lifestyle that normally permeates their music for a more emotionally vulnerable approach. She also brings a freshness to the song amidst the Auto-Tuned vocals that typically defines Rae Sremmurd's songs. "Guatemala" presents the perfect vehicle to welcome the singer back into the musical fold since her last release, 2017's "Redrum." While there's no way of knowing if she'll be hitting the studio again soon for the follow up to 2016's Drive EP, we can at least dance our way through the summer thanks to her hopping on what is sure to be one of the season's anthems.